Dream Pod 9: One Week Left on the Golden Gear 2018 Painting Contest! Just 1 week left now to get your Golden Gear 2018 Heavy Gear Blitz Miniature painting entries in, submission deadline is October 31st, 2018 at Midnight EST. Categories include Best Heavy Gear Blitz Miniature, Best Heavy Gear Blitz Combat Group (4+ minis), and Best Duelist Miniature. This is a miniature painting contest so we you don't have to worry about rules issues, making conversions is encouraged, so have fun and show us your painting skills. You can checkout all the entries received so far at the following link to our Golden Gear 2018 DP9 Forum page, plus we have included a few entry photos with this post. Miniatures: All Heavy Gear Blitz & Heavy Gear Arena minis can be entered into the Golden Gear Painting Contest. 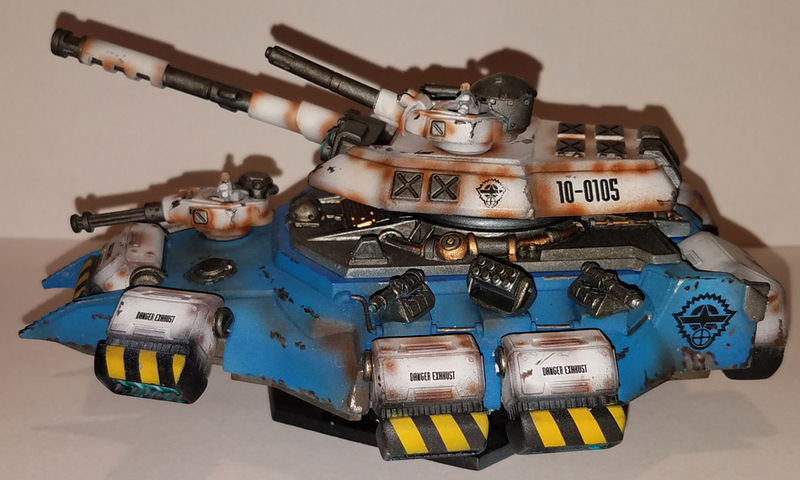 Conversions and decals are allowed and encouraged. 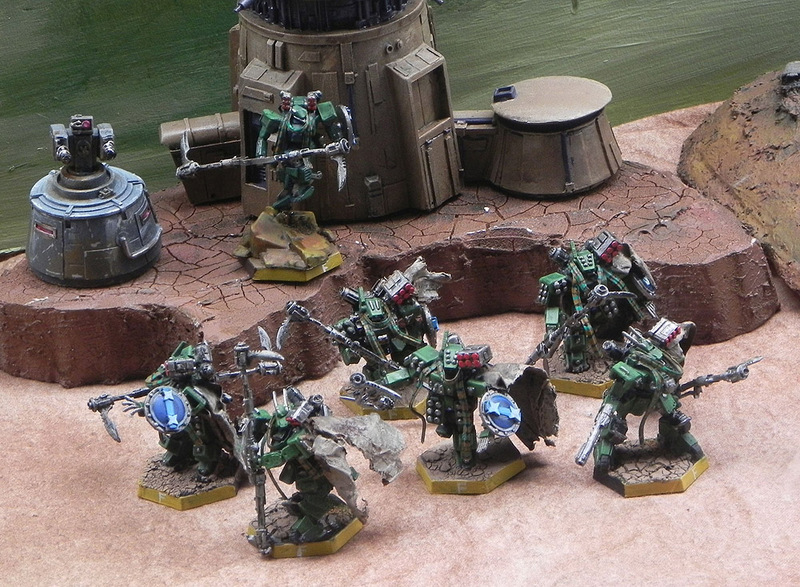 Custom bases and plinths are allowed, hex bases are not required. Email up to five photos per entry to Robert Dubois at rdubois [at] dp9.com, please include your full name. By submitting your photos you grant Dream Pod 9 Inc. the right to publish the submitted photos. Entrants may submit entries to multiple categories, however, every submission must be unique. Current Dream Pod 9 employees are excluded from the competition. The entry deadline is October 31st, 2018, at midnight EST. We are working on getting our next Kickstarter ready to launch in early November. 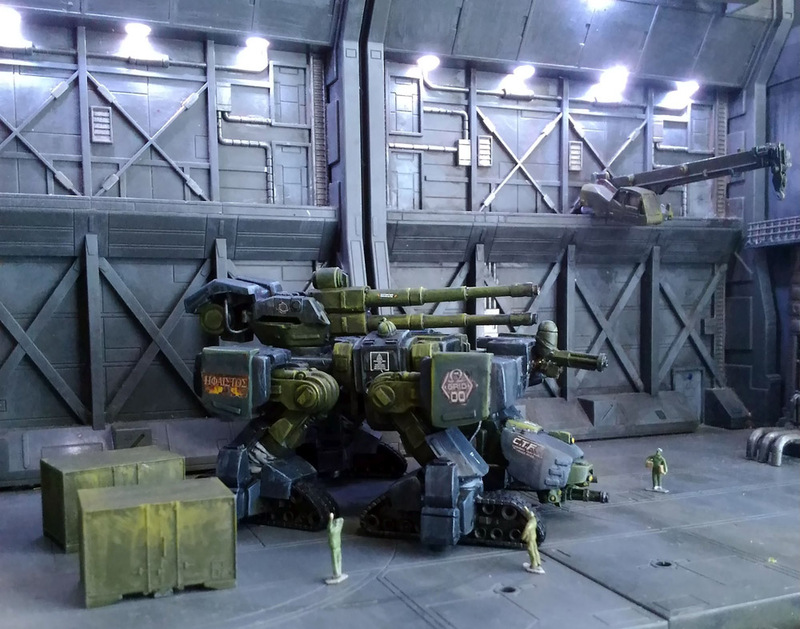 This one will be for the Venus faction of our Jovian Wars tabletop space battle wargame and will include new spaceships, exo-armor & fighters/bomber squads. All the 3d models have been finished up and the planned Kickstarter is to raise the money need to make all the silicone molds for resin casting of the spaceships and vulcanized rubber molds for the pewter exo-armor/fighter/bomber squads. Keep an eye out next week for more news and upcoming Venus Kickstarter previews. Home › Blogs › Robert Dubois's blog › One Week Left on the Golden Gear 2018 Painting Contest!